The latest addition to our home is this cute succulent plant from The Juicy Leaf on Abbot Kinney in Venice. This stores has dozens of mini, medium, and large sized custom arrangements to choose from. I hand picked this lil guy and they helped me plant and arrange it. The best part is, you only need to water it every 3 weeks! I love flowers, but I get sad when they wilt. So, this is the perfect alternative for me. I’m definitely planning on coming back to make some more arrangements for our home. Next time, I’ll be sure to bring a friend too. I guess I’m reach a point in my life where I find it rewarding to plant things, and watch it grow. This entry was posted on August 12, 2010 by happy217. 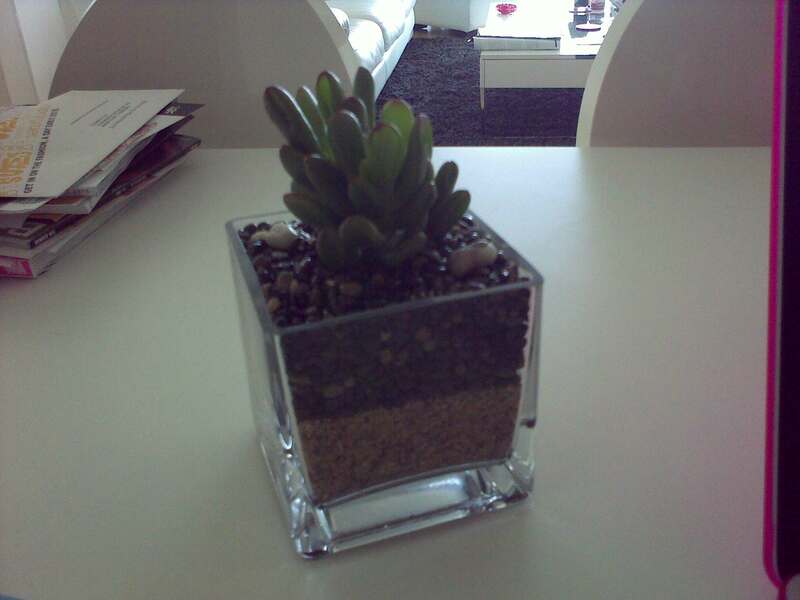 It was filed under Cutesy Stuff, Home and Living and was tagged with household plants, mini plants, pretty arrangements, small plants, succulents, the juicy leaf.